A friend of mine highly recommended this book, and since I had always struck gold with this particular friend’s recommendations, I decided to give it a go. The result was one of the most rewarding books I’ve listened to in a good long while. I loved every moment of it — the story, the language, the world it existed in, the characters with their dark, painful secrets. It was a delightful experience from beginning to end. Of course, it’s easy to love a story if you have two British readers like Bianca Amato and Jill Tanner telling it in your ear. Their perfomances were flawless, so moving in fact that at times I felt as if I were watching a play or taking a stroll with a real human being as they gave first-hand accounts of actual events. It was captivating. Storytelling at its finest. I should point out that The Thirteenth Tale is a debut novel. It’s author is a British former academic who decided to take a stab at writing a few years ago and pooped out this on her first try. It’s enough to drive you batty with envy. It’s like a prospector stiking a gold nugget on his first swing of the pick ax. (Notice this is my second use of a “finding gold” metaphor.) The fact that this is a debut novel is also depressing because it means I can’t rush out to the library or book store and pick up another Diane Setterfield novel. There aren’t any. Sigh. 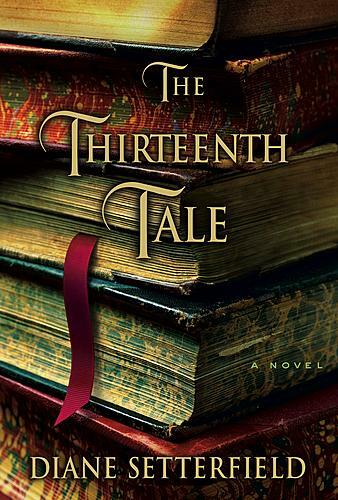 The Thirteenth Tale calls itself as a novel of “gothic suspense” and pays tribute to Jane Eyre and other classic Victorian novels I didn’t appreciate when I read them in high school. But don’t think of it as a stuffy British yawn. It’s anything but. Margaert Leah is a lonely, isolated woman who works in her father’s antiquarian bookshop and whose fascination with biographies has led her to write a few short biograhies of her own, one of which at least was published. When the book opens, Margert receives a summons from Vida Winter, the most celebrated and mysterious English author of recent history — mysterious because Ms. Winter is somewhat of a question mark. She’s incredibly reclusive. All of the attempts by journalists over the years to uncover Ms. Winter’s past have failed miserably, and not for lack of trying. Ms. Winter is always happy to entertain a journalist curious of her past, but that’s all she ever gives them: entertainment, colorful stories of exotic places and wild adventures and none of which are true. In other words, Ms. Winter lies. And so it is that when Margaret receives a summons to Ms. Winter’s home and a subsequent invitiation to hear Ms. Winter’s true life story, Margaret is skeptical. Will Ms Winter finally divulge the truth? Or is this merely more theater, one last chance to tell a good whopper before the terminal illness killing her takes her in the night? Those are the queations The Thirteenth Tale poses, and Setterfield keeps you guessing almost to the very end. Is it all a lie? Is Ms. Winter simply spinning another yarn? Or is the tale of the Angelfield family, the tale Ms. Winter unfolds, the truth fiinally revealed. I won’t spoil the fun by telling you here. You;ll have to find out for yourself, but I can assure you it’s certainy worth the effort.